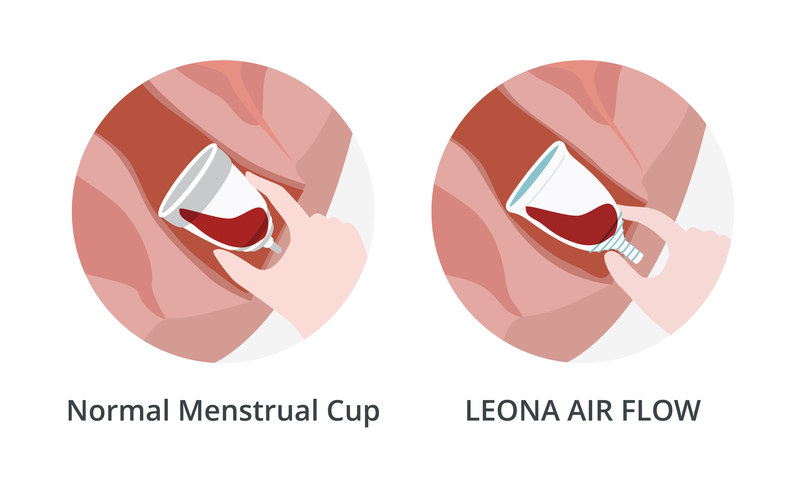 LEONA AIR FLOW is the Easy-to-Remove menstrual cup. 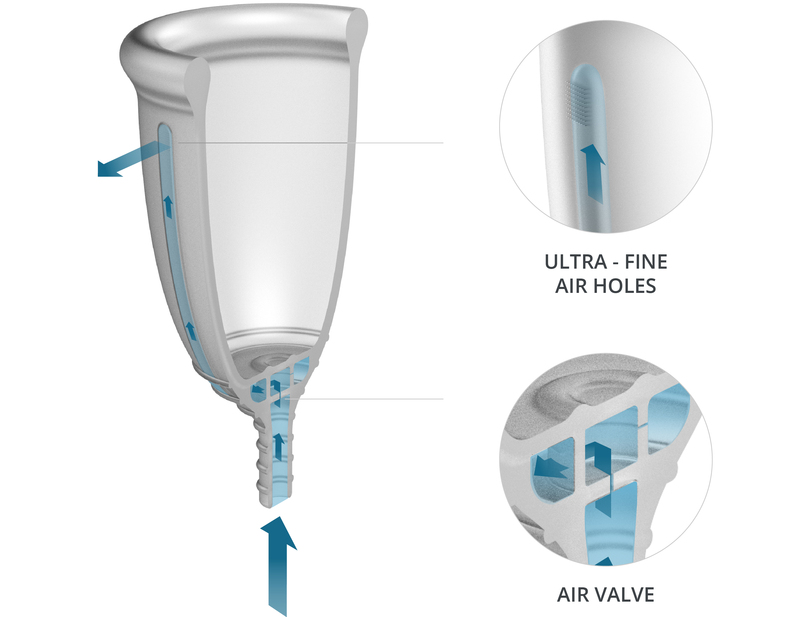 The AIR VALVE in the cup enables to break the seal easily and adjust the pressure while wearing. 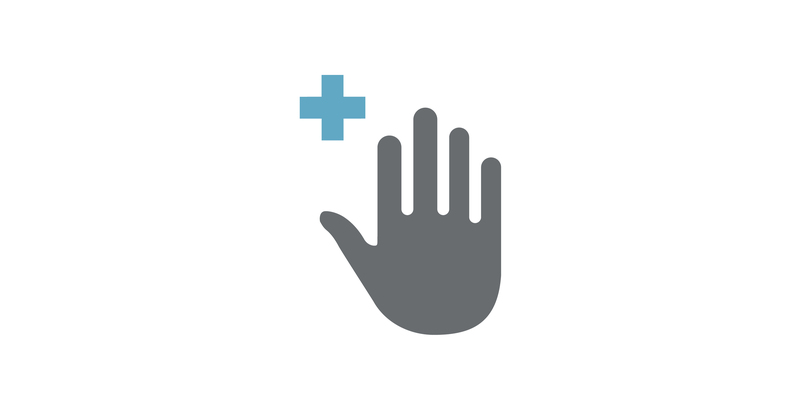 No need to put your fingers deeply in. 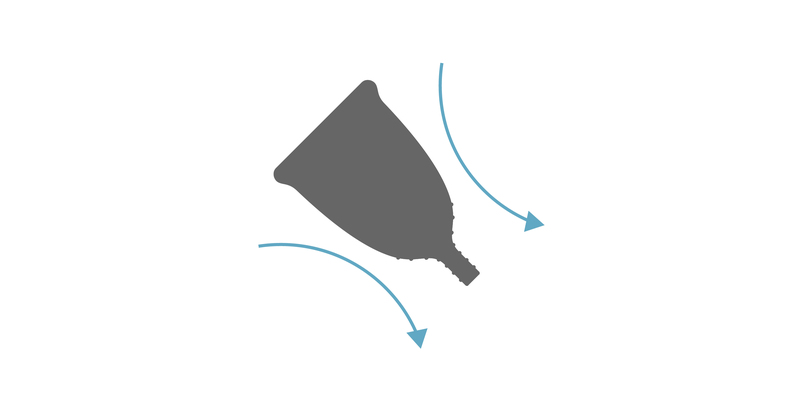 The unique structure of LEONA AIR FLOW minimizes the inflow of liquids such as blood while allowing air to flow. 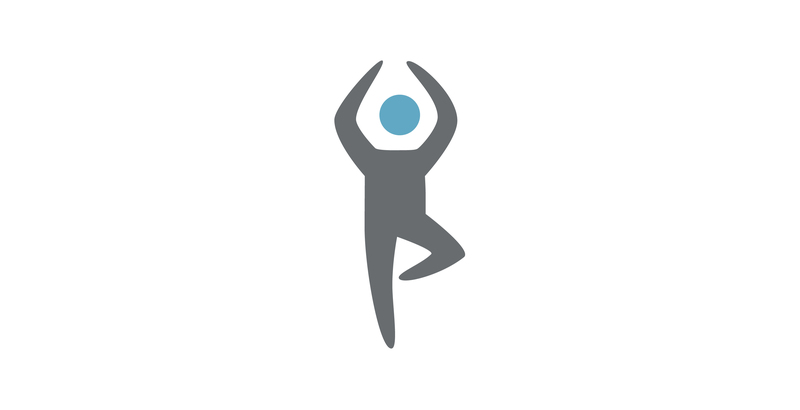 Air is able to flow by pressing the AIR VALVE while maintaining a complete seal. 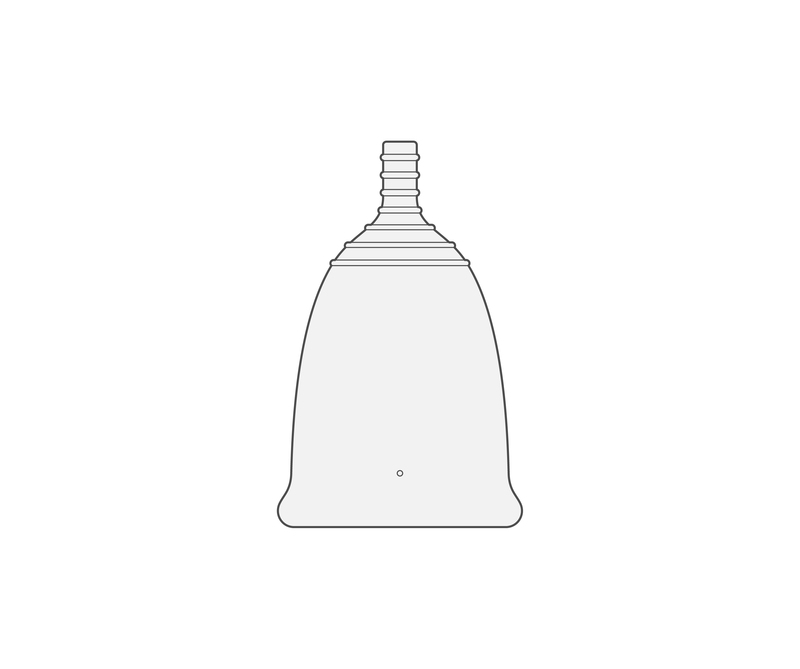 Remove the cup while pressing the AIR VALVE and moving it from side to side. 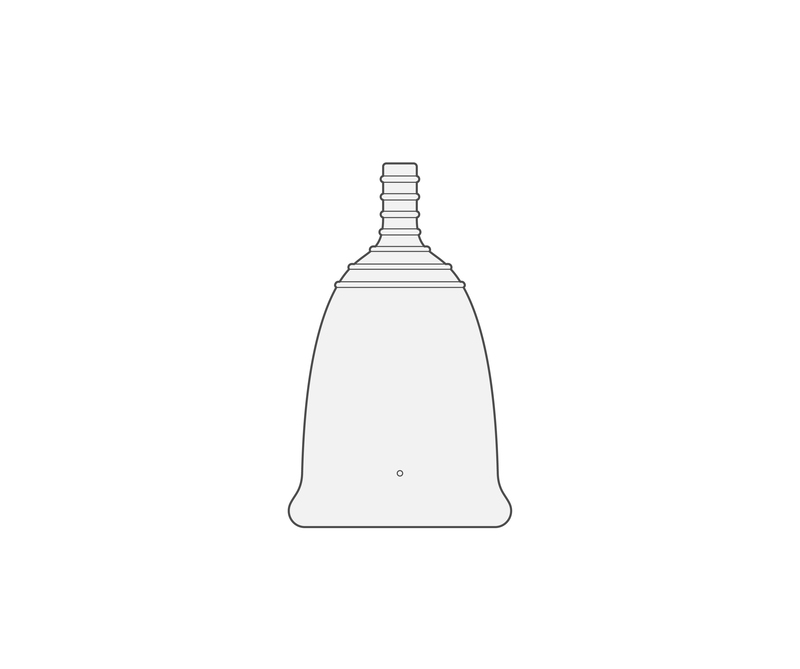 By briefly pressing AIR VALVE 1~2 times, the pressure level can be adjusted while wearing the cup. To clean the AIR VALVE, press the AIR VALVE a few times with the stem in running water. Pressing the AIR VALVE to remove the cup will let liquid into the inner structure, but the structure of AIR VALVE will not allow any blood to leak through. After cleaning and drying the cup, put it back in the box until you need to use it again. LEONA AIR FLOW is available in 2 sizes. Recommended for women who have never given birth vaginally or by C-section. Recommended for women who have given birth vaginally.